Ethnoknowledge is practical information inherently accumulated by humanity and passed on from one generation to the next mostly by word of mouth in time and space. The knowledge is mainly esoteric, localized, and manifests in many different, unique, and useful formats with ethnopractitioners. This chapter demonstrates that the AbaWanga people of Kenya have developed potentially useful ethnomedicine systems based on ethnobotany, with more males than females participating as ethnopractitioners. This gendered divide is shaped and influenced by culture and practices that privilege men in the ethnopractitioner profession. 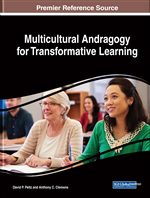 In part, then, this chapter is anchored in feminist pedagogy and andragogy theories. Communities of practice and use of technology are offered as part of the strategies that can democratize and change learning processes amongst ethnopractitioners. Lastly, the chapter offers recommendations, suggests future research possibilities, and provides implications for ethnopractitioner learning. Ethnobotany comprises that part of ethnoknowledge focused on the scientific study of how people and plants relate in time and space, particularly the use, management, and perception of plants and plant products in the society. Ethnoknowledge is mainly native and, on many occasions, has evolved to become localized in some areas in the world to suit the environment and its users (Cunningham, 1993; Kokwaro, 1993; Wanzala et al., 2012; World Health Organization, 1996). Largely transmitted orally through demonstrations, songs, poems, drawings, apprenticeship, paintings, and stories from generation to generation and only sketchily recorded in books (Wanzala et al., 2012), a collective ethnoknowledge is believed to be owned by the ancestors, spirits, and ethnic-based gods while being kept under the custody of the memory of living elderly men and women whose memory, inability, and mortality can easily lead to losing potentially useful information (Wanzala, 2009). Ethnoknowledge has been used socially as a tool for gender mainstreaming, decision-making processes, leadership, and governance while also serving as a symbol of unity, peace, love, and wisdom for political guidance in the contemporary world (Wanzala et al., 2012). Likewise, ethnobotany is rationally and analytically applicable to all of these aspects of living as a normal way of life. For instance, specific plant species are used for decision-making processes in the community, for leadership, kingship, governance, peace, wars, love, gender mainstreaming, healthcare systems, farming, and so forth (Shiracko, Owuor, Gakuubi, & Wanzala, 2016a, 2016b; Wanjala & Wanzala, 2016; Wanzala, Syombua, & Alwala, 2016). Ethnobotany therefore is evolving “life in itself” and is as old as humanity. A good account of written ethnobotany can be traced to Pedanius Dioscorides, a Greek philosopher and surgeon, who published De Materia Medica cataloging six hundred plants in the Mediterranean area around 77 A.D. The present chapter, similarly, seeks to accomplish two objectives: first, to characterize the interplay between gender and culture in ethnobotany among the AbaWanga people of western Kenya, and second, to illustrate how communities of practice and transformative learning can be incorporated into indigenous learning processes. Local cultures do not exist in a vacuum but are constantly interacting with knowledge, ideas, and practices gathered locally and from elsewhere. Theories such as creolization (Hannerz, 1987), Herskovits’ problematic syncretism (Apter, 1991), hybridity (Lavie & Swedenburg, 1996), and globalization (Robertson, 1995) described how people in the present world are not simply passive receptors of other culture but are involved in changing and shaping their own cultures and others. Creolization and hybridity, for example, describes how people interact and engage with cultures around them. Synchronization theories, on the other hand, provide dichotomies during the merging of two different worldviews or concepts. Examples include global/local, Western/African, and traditional/modern dichotomies.